Tomatoes cannot be relied on to be acidic enough on their own to be safely canned. They often are, but not always, and people have gotten sick and died from when they weren’t. Fortunately it’s really easy to nudge tomatoes down into the acidic range to make them 190% safe for home canning. Are heirloom tomatoes more acidic? Do all home canned tomato products need acidification? Some people say that lemon juice makes the jars of tomatoes too lemony for their tastes. Others dispute that assertion, retorting that their taste buds would have to be more delicate than the Princess and The Pea to even detect it. Add the acid to the jars before you add the tomatoes. That way you don’t forget, and it can get mixed up better. Here’s a complete table from the University of Minnesota. 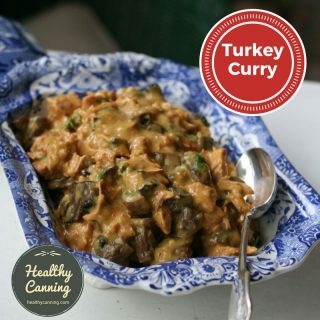 The acidifying recommendations and guidelines apply whether the tomatoes are whole, chopped, diced, crushed or juiced. You may see in some places on the Internet that you can use products that prevent fruit darkening (also sold under brand names such as Fruit-Fresh®, etc) instead of citric acid for the acidification. You cannot. These are usually mixes, containing other ingredients such as dextrose, etc, and would not be sufficiently strong for safe acidification. 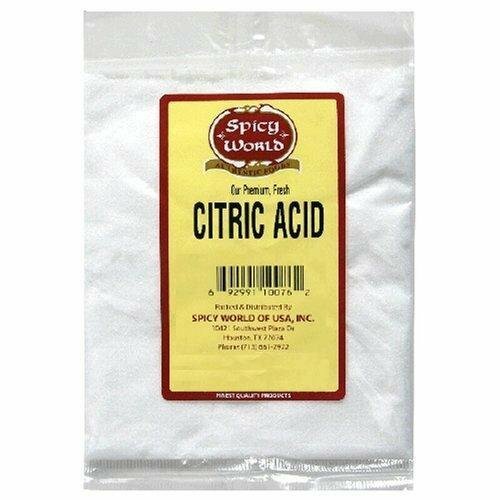 Other sources clarify not to use ascorbic acid, even when it’s pure. The authors of Putting Food By say, “Ascorbic acid. Good old Vitamin C again … It will not prevent botulism.”  Hertzberg, Ruth; Greene, Janet; Vaughan, Beatrice (2010-05-25). Putting Food By: Fifth Edition (p. 38). Penguin Publishing Group. Kindle Edition. There’s one other reason that you wouldn’t want to use ascorbic acid, besides the safety aspect: it tastes bitter. Background: A pH of 4.6 is the safe cut-off pH for water-bath or steam canning. Anything below 4.6 is deemed acidic, and therefore safely canned by water-bath (or steam) canning. 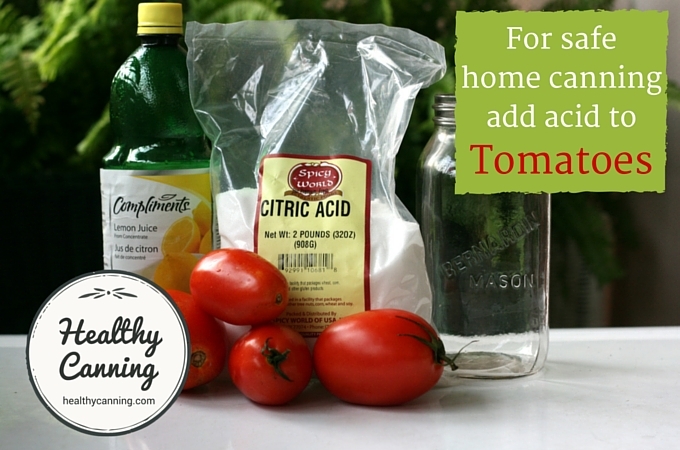 Tomatoes need their acidity enhanced to be safely canned at home. Tomatoes are borderline acidic, and depending on the variety, their stage of ripeness, the growing conditions, the soil, the weather, the sunlight, etc, their acidity goes back and forth across that safe line between acidic and non acidic. The pH can range up to 4.8 or higher, sometimes, even up to 5.01. As the pH scale is logarithmic, as is the Richter scale, that .2 difference above the safe cut-off of 4.6 is actually a lot. Burning Issue: Acidifying Tomatoes When Canning. National Center for Home Food Preservation. September 4, 2013. Accessed March 2015. Tomatoes grown in the shade, ripened in shorter hours of daylight, or ripened off the vine tend to be lower in acidity than those ripened in direct sunlight on the vine. Also, tomatoes attached to dead vines at harvest are considerably less acidic than tomatoes harvested from healthy vines.”  Kendall, Pat. Canning Tomatoes and Tomato Products. Colorado State University Extension. No. 9.341. May 2012. Accessed May 2015. Acidity of tomato fruit is very important for flavor. It is also important to the processor because butyric, thermophyllic, and putrefactive anaerobic microorganisms cannot thrive when the pH is below 4.3. If the pH is over 5, however, the spores of the microorganisms are difficult to kill.”  Salunkhe, D.K, et al. Quality and Nutritional Composition of Tomato Fruit as Influenced by Certain Biochemical and Physiological Changes. Qualitas Plantarum. December 1974, Volume 24, Issue 1, p 90. It’s a myth that heirloom tomatoes are more acidic. All the basic, plain, pure tomato products do. Other home-canned tomato products such as ketchup or tomato relish will inherently be acidified just by the very nature of the product. Others such as pressure canned spaghetti sauce, no. Your tested recipe will always tell you, but if you are curious about the underlying reasoning, see: Why do some home canned tomato products need acidification but not others? Yes for some, no for others. It depends on what safety factors the creator of that tested recipe drew on when developing it. See full discussion here. 2014 home-canned tomato sauce (New York State) National Enteric Disease Surveillance: Botulism Annual Summary, 2014. Accessed April 2016. 2004 home-canned tomatoes (Ohio) National Enteric Disease Surveillance: Botulism Annual Summary, 2004. Accessed March 2015. 2002 home-canned tomatoes (Maine) National Enteric Disease Surveillance: Botulism Annual Summary, 2002. Accessed March 2015. 1999 home-canned tomatoes (unacidified, and unprocessed jars. Toronto, Canada) Botulism cases in Canada. This is botulism only. Doesn’t include cases of salmonella, listeria, etc from jars of home canned tomato products that weren’t also heat processed to destroy those particular nasties — acidification takes care of botulism but not salmonella etc; heat processing takes care of salmonella etc but not botulism. Thus, both treatments are mandatory for safety. The assumption in the first half of the 1900s was that all tomatoes were acidic enough on their own for home canning, without enhancement, but that was found to be wrong. In the mid-1950s, the acidity level of tomatoes became a real concern as related to processing recommendations. Large-scale surveys were undertaken to determine pH values for tomatoes. Evidence reviewed by Powers (1976) indicated that the pH of some tomatoes was well above 4.5. Powers (1976) provides an excellent history of petitions for amending the standard of identity for canned tomatoes to allow for acidulants.”  Andress, Elizabeth L and Gerald Kuhn. Chapter III, G. Tomatoes. In: Critical Review of Home Preservation Literature and Current Research. Athens, GA: University of Georgia, Cooperative Extension Service. 1998. 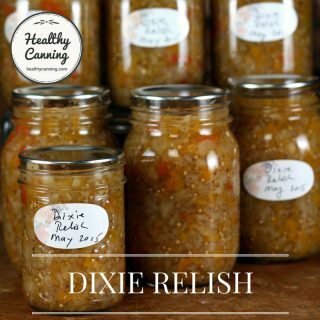 In the 1970s, when interest in home canning returned with the “granola back to the earth movement”, a “famous” incident of botulism from home-canned tomatoes shook up the home preserving world. The Centers for Disease Control of the U.S. Public Health Service dropped a bomb [when] it reported that early in 1974 there were two deaths from botulism poisoning traced directly to home-canned tomatoes and tomato juice. Consumer activists immediately queried if the “new, low-acid” tomatoes were responsible, and even suggested in print that, from then on, tomatoes would need to be pressure-processed at 15 psig instead of in a Boiling–Water Bath. Meanwhile the public health officers discovered what actually allowed the spores of C. botulinum to make the toxin that killed the victims. Common bacteria or molds grew in the food in the jars and thereby reduced the acidity because the natural acid in the tomatoes was metabolized by the micro-organisms as they grew and developed. It was established after compassionate, but thorough, investigation that these bacteria or molds survived either because the tomatoes were canned by the discredited open-kettle method, or entered under the lid of a jar that wasn’t adequately sealed.” Hertzberg, Ruth; Greene, Janet; Vaughan, Beatrice. Putting Food By: Fifth Edition (p. 120). Penguin Publishing Group. Kindle Edition. In 1987, USDA will begin to recommend adding acid to all tomato products whether pressure canned or boiling water bath canned. This is a recommendation which Ohio has been making for at least the last 10 years.”  Hudson, Nancy. 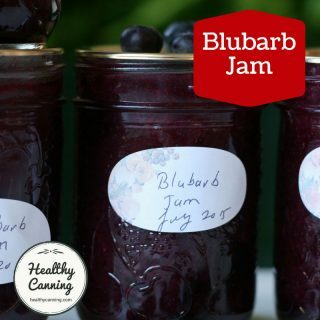 New research gives tips on using jars and lids. Xenia, Ohio: Daily Gazette. 7 April 1986. Page 6. In 1988, the requirement for tomato acidification was added to the USDA Complete Guide based on Penn State research. Andress, Elizabeth. “History, Science and Current Practice in Home Food Preservation.” Webinar. 27 February 2013. Accessed January 2015. Properly acidifying your home-canned tomato products must go hand in hand with properly processing them. If you don’t properly process the jars, then moulds seen and unseen can survive. Mould can raise the pH of a tomato product, even a properly acidified one, above the safety cut-off of 4.6. At that point, botulism spores can “wake up” and germinate, releasing their deadly toxin. So, both properly acidify, and properly process, your jars of home-canned tomato products. There’s a few added bonuses for doing it right: you’ll never know the loss of hard work and expensive produce because jars mysteriously and randomly spoiled on the shelves, and, you end up with consistent, dependable, lasting products of the very highest-quality. And, usually, it’s actually far less work to do it right, than wrong! 1. 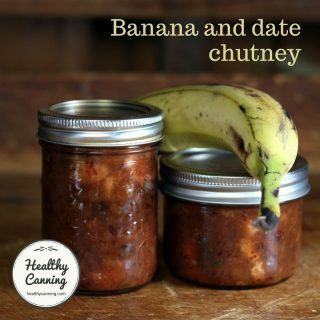 ↑ Canning Acidic Foods – Fruits and Tomatoes. Dinstel, Roxie Rodgers. 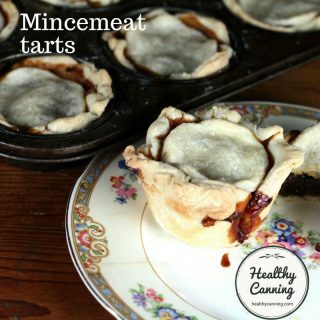 Food Preservation. University of Alaska Fairbanks Cooperative Extension Service. Revised March 2013. 3. ↑ Driessen, Suzanne. 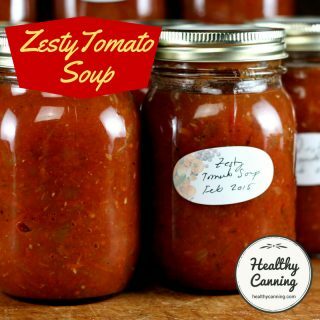 Canning Tomato and Tomato Products? Pay Attention to Directions. University of Minnesota Extension Service. Reviewed 2014. Accessed June 2016. 8. ↑ Hertzberg, Ruth; Greene, Janet; Vaughan, Beatrice (2010-05-25). Putting Food By: Fifth Edition (p. 38). Penguin Publishing Group. Kindle Edition. 9. 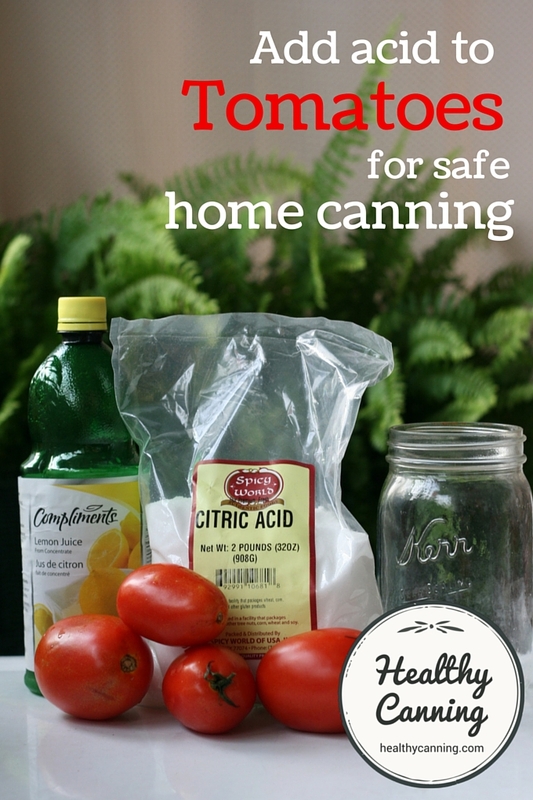 ↑ Burning Issue: Acidifying Tomatoes When Canning. National Center for Home Food Preservation. September 4, 2013. Accessed March 2015. 10. ↑ Kendall, Pat. Canning Tomatoes and Tomato Products. Colorado State University Extension. No. 9.341. May 2012. Accessed May 2015. 11. ↑ Salunkhe, D.K, et al. Quality and Nutritional Composition of Tomato Fruit as Influenced by Certain Biochemical and Physiological Changes. Qualitas Plantarum. December 1974, Volume 24, Issue 1, p 90. 12. ↑ National Enteric Disease Surveillance: Botulism Annual Summary, 2014. Accessed April 2016. 13. ↑ National Enteric Disease Surveillance: Botulism Annual Summary, 2004. Accessed March 2015. 14. ↑ National Enteric Disease Surveillance: Botulism Annual Summary, 2002. Accessed March 2015. 15. ↑ Botulism cases in Canada. 16. ↑ Andress, Elizabeth L and Gerald Kuhn. Chapter III, G. Tomatoes. In: Critical Review of Home Preservation Literature and Current Research. Athens, GA: University of Georgia, Cooperative Extension Service. 1998. 17. ↑ Hertzberg, Ruth; Greene, Janet; Vaughan, Beatrice. Putting Food By: Fifth Edition (p. 120). Penguin Publishing Group. Kindle Edition. 18. ↑ Hudson, Nancy. New research gives tips on using jars and lids. Xenia, Ohio: Daily Gazette. 7 April 1986. Page 6. 19. ↑ Andress, Elizabeth. “History, Science and Current Practice in Home Food Preservation.” Webinar. 27 February 2013. Accessed January 2015.